Japanese maple trees can be grown in the north Florida landscape provided they are given some shade. Some cultivars can be trained as bonsai and kept quite well in Florida as well as many other areas. The trees are hardy from USDA planting zones 5b through 8, which include only north and northwest Florida. It is too hot in central and south Florida for Japanese maple trees to thrive. Care is still minimal although there is a little more maintenance required than locations farther north. Water the tree every other day after planting for two weeks, then cut back to once a week throughout the growing season. During the hot, dry summer days in Florida, the trees will need extra irrigation. Check the soil by digging a hole a foot away from the tree to see how far down the soil is moist. Never allow the soil to dry out more than 3 or 4 inches in the summer. 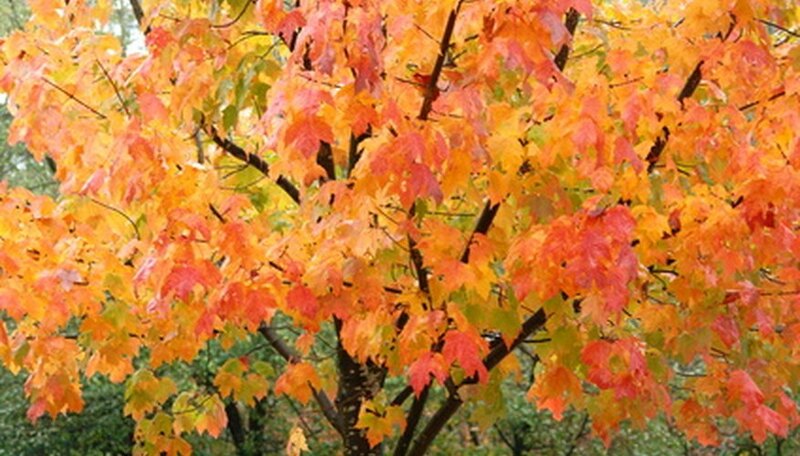 Apply a slow-release fertilizer in the spring as soon as the leaves start to come out on the tree. A second application will be needed by mid-summer due to the extra watering and early spring growth. Follow manufacturer’s directions on the amount to apply. Place a 3-inch layer of mulch under the spread of the tree. This will increase moisture retention and help to keep the roots cool. Keep the mulch 4 inches from the tree trunk. Spread a 2-inch layer of compost in a 3-foot diameter under the tree about three weeks after the tree starts to leaf out. Place it over the mulch if it is already in place. Regular watering will leach the compost into the soil. The compost will add to the nutrition of the soil and keep it draining freely. Prune dead, damaged or diseased branches at any time. Prune to shape in the late winter while the tree is dormant. Cut branches that are crossing each other to prevent damage to the bark and cut lower branches to allow people to walk under the tree if it is being used as a shade tree. Japanese maple trees do not need to be pruned to shape if you are using it for a specimen tree. University of Florida Extension: Acer Palmatum "Bloodgood"